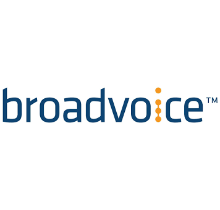 Headquartered in Los Angeles, California, Broadvoice is a premier provider of hosted voice and broadband services. Utilizing the latest technology, Broadvoice helps businesses achieve higher call quality and faster Internet speeds while reducing their overall costs and improving efficiency. The company continuously designs and implements new features and services that allow companies to focus on their business. Broadvoice has been ranked in the Deloitte Technology Fast 500 and Inc. 500 Fastest Growing Private Companies in America.